Jungle Red Writers: A BRAND new you! HANK PHILLIPPI RYAN: What’s your brand? I don’t mean Armani, or Tide, or Pepsodent or Crocs. But hey—when I say those names—you get a vision, right? And THIS book will not only tell you why, but how you as an author—or you in any career, actually!—can successfully figure out how to do it. And listen. 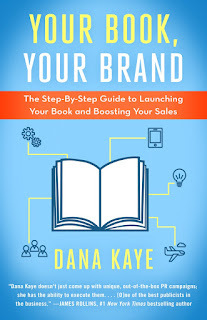 What the amazing Dana Kaye is about to reveal is the kind of stuff you usually only hear behind the closed doors of consultant offices and publishing houses. 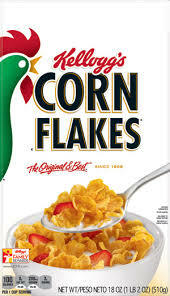 Almost every author I’ve met, whether they write literary fiction for a small press or category romances for Harlequin, has considered themselves an artist of some sort, and no one wants to equate selling their art to selling Kellogg’s or Coca-Cola. They don’t view their books as commercial products. But the purpose of branding is the same whether you’re selling books or breakfast cereal: to let customers know what they’re going to get before they buy. When you pick up a Coke, you know exactly what the soda is going to taste like. You know that the Lexus will have more luxury features than the Hyundai. When you pick up the latest Nora Roberts novel at the grocery store or a James Patterson book at the airport, you know what types of stories are within those pages. Known brands are comfortable, familiar, and come with limited risk. Your brand consists of who you are and what you write. For most of you, the “Your Book” piece of the equation will be easy, especially if this is your first book, if you write series novels, or if you’ve written multiple books in the same genre. Where it gets tricky is if you write in different genres, for different age groups, and have a wide scope of work under your belt. Identifying one unique brand for many different books can be difficult, but it’s far from impossible. You just need to find your common denominator. Then, go through and highlight any patterns. Your books may be more similar than you think, and those common denominators will make up the “Your Book” portion of your brand. 2) What is your day job or background? 3) What did you study in school? 4) Are you considered an expert in any field? 6) Do you have kids? Pets? Once you have your list, highlight the responses that directly link to the book. For example, if you write a cozy mystery series and you also happen to knit, that would be a key part of your brand. On the other hand, if you went to school for molecular biology, that wouldn’t quite fit into your author brand. Use your responses to come up with a tagline and a brand summary. Think of your tagline like a twitter bio: it should be short, clear, and memorable. Your brand summary should be a longer, 3-4 lines, and should convey a clear message about who you are. For example, my tagline (and twitter bio) is: Publicist, triathlete, and all-around hustler. These 6 words accurately convey who I am, what my philosophy is, and a sense of what I’m like to work with. It’s also memorable and sets me apart from others in my field. My brand summary is: I’m a book publicist with a knack for staying ahead of the trends and I there’s no substitute for hard work, creativity, and a whole lotta chutzpah. 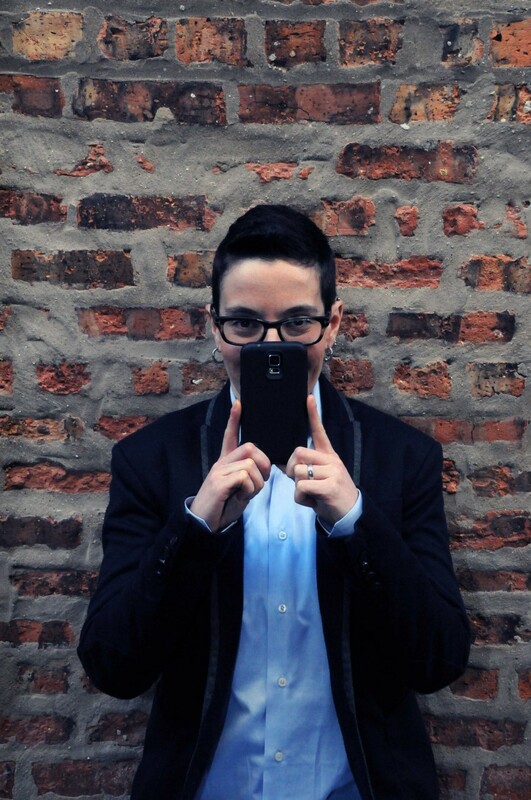 I’m passionate about books, spreading a love of reading, and educating authors on best publishing practices. I frequently jump off cliffs and build my wings on the way down. This summary doesn’t encompass all that I do, but again, it conveys an idea or feeling of who I am and what I’m about, and that’s what you should expect of a brand. I encourage all of you to take some time, go through the steps outlined above, and create your unique tagline and brand summary. Then the next time you’re at bookstore event or writers’ conference and someone asks “What do you write?” or “What kind of an author are you?” you’ll have a clear and concise answer that people will remember. Feel free to share your taglines in the comments section. I look forward to seeing what you come up with! HANK: Oh, this is so HARD! But Dana is here to help. How about you, Reds and Readers, do you have a brand? And what books (and authors) do you think are successfully branded? And why? Does it work? Wow . . . you’re right, Hank, this is really hard, but I when I think of the books the Jungle Red ladies write, I think all of you are successful at this. 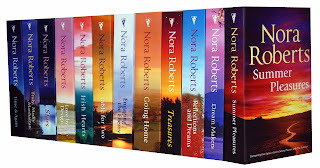 Other authors with successful brands [aside from the already-mentioned Nora Roberts and James Patterson]? Stephen King . . . J. K. Rowling . . . R. L. Stine . . . .
A successful character/book brand that comes immediately to mind? Jack Reacher. Despite Dana's advice, I think this is still hard to do. I love the books each JRW writes, and you are all definitely successful. But could I identify a unique, memorable brand for each of you?! I would love to see what each JRW comes up with as her brand! Getting there only took 12 years... it emerged organically; someone wrote a review saying that's what I wrote, and I Ioved the phrase so much that I appropriated it. But I think Dana's advice is very sound. And it's fun to do. I have a brand, though I'm sure it grew out of the writing, like Libby's. Creepy domestic suspense. My titles sound like riffs on children's verses. It's why I knew the FIRST working title ("Finding Janey") for my new novel wasn't right. Thriller-ish, right? My books aren't thrillers. They're slow builds. And that gerund-name combo is used so frequently. SECOND working title ("Hush Baby My Dolly") sounds like horror. No, no, no. I wanted to give the title a sweet only slightly sinister edge. I flailed about until I found "You'll Never Know Dear"... hoping what will echo in the reader's head is "how much I love you." Logo? That feels like it would be a reach. Because beyond the titles each story is so different. I write at the collision of crime and interior design. Lizzie Christopher is anxious to make a success of her employer's historic carriage house renovation project. When she finds the body of an itinerant artist at the construction site and learns that a missing college student was last seen with the victim, she plunges into an investigation. Someone came up with "Exceptional suspense, inimitable style." for me-- which can work in certain places, but you can't just say it. Someone else thought: She lives it, now she writes it. Which is fun--unless you have no ideaI I'm a reporter who writers thrillers. "Thrillers ripped from her own headlines?" So I'm trying to think about something about "storyteller, in real life and real ______" meaning--in fiction and in fact. I always say I write "investigative thrillers." Athough, hm. A wonderful review from Booklist (Hurray!) just said about SAY NO MORE: "Another compelling entry in a series known for wrapping timely social issues in realistic danger" Maybe there's something there? Hank, I vote for "Thrillers ripped from her own headlines?" - an congrats on the great BOOKLIST review! Oh thank you ! I always worry the "ripped from the headlines "will l have people thinking I just take real stories and give people different names-- which is so far from the reality ! Hallie, you're on point about your books. They are slow builds, but they grab you from the beginning. I haven't read a single one where I want to put it down, even in the early stage, because I'm so intrigued as to where you're going. When I read Julia, I'm expecting mystery with that small-town touch - and characters I'd invite in for a cup of hot chocolate. Rhys and Susan both have that magical touch that draws you into history. With Maggie, I'm expecting cozy, but not-cozy at the same time, because Maggie isn't a knitter - she's a spy. So high-level intrigue with a personal touch? Rhys nails that turn of the century, old school style with a mystery edge. I've been thinking about this a lot, especially as I continue to get stories in various anthologies - and now I have another twist with the historical in the next Malice! I'll have to sit down and seriously think about this list of questions. No matter what I write, there always seems to be an aspect of relationships, and the characters redefining themselves in various relationships as circumstances change. But me? As I joked with a friend, "What you see is what you get." I'm a writer, a mom, a tech geek, a martial artist, a closet romantic, a nature gal and a mystery fan. Now if I can only figure out a brand out of all that, I'm set. And I wonder - did JK Rowling get into issues with A CASUAL VACANCY because readers felt it violated her "brand" as a children's fantasy author? My protagonist is a PI trying to do the right thing in an ethically challenged business and world. Or wait, is that me? Hallie, somewhere (was it on the jacket of one of your books?)! I saw your books described as "deliciously creepy" which makes me want to read them, but warns me that they could get my heart beating faster! Sometimes I reluctantly put down one of your books to have a cup of chamomile tea, and then I pick up the book again! Hank, congratulations on the great review! I think " ripped from her own headlines" could be replaced with "inspired by her own headlines" but I think the word " ripped" would probably bring in more readers. Doesn't matter; your books are just plain good! Wish I had time for more comments about the Reds, but my lunch break is just about over! Mary--maybe that's why she changed for the mysteries? Bruce--ain't it the truth for all of us? But i think that's terrific. DebRo--Just plain good! That's great! :-) Maybe… But "deliciously creepy" is perfect for Hallie. Hallie, I love "deliciously creepy!" But maybe "deliciously creepy domestic suspense" so that readers don't think the books are horror. Hank, I don't know about "ripped from her own headlines." It only works if people know you're a reporter, which not all readers will. Maybe "compelling, timely, suspense" Not enough oomf? "Compelling, timely suspense, ripped from the headlines"? Argh. This is hard. I've been mulling over mine all day. I usually say "British crime novels" or "British crime novels featuring Scotland Yard detectives Duncan Kincaid and Gemma James," which lets you know they are police novels. "Police procedural" sounds too hard-boiled, but I don't want the books to sound cozy, either. And I want readers to know they are contemporary, not historical. "Compelling British police novels"? Deb, I see your name as your brand. It leaves me no doubt as to what I expect. This, added to the distinctive cover design, works. Good job. Hank, I think you're probably right on that one. And it's worked for her (I think, at least it seems to have). The reason I have a book blog is that I so passionately enjoy pushing books and authors that I enjoy. If I'd only recognized my enthusiasm earlier in life, Dana, I truly believe that a book publicist would be my dream job. My mind tends to run to what a new author could do to get their book or series out there more. I envy you your work. Of course, you have reminded me, Dana, that I have an identity or brand crisis of my own with my blog. Although I review mostly mystery and crime, and my interviews are with those authors, I haven't wanted to limit my blog to just a mystery and crime blog. I am absolutely going to read your book to try and figure out what I need to do. I feel like Mary, that I'm better at identifying others' brands than my own. Hallie, I think you are right on target with "creepy domestic suspense," as they are both creepy and creep up on you. Hank, I think you've nailed it, too, with "thrillers ripped from the headlines." 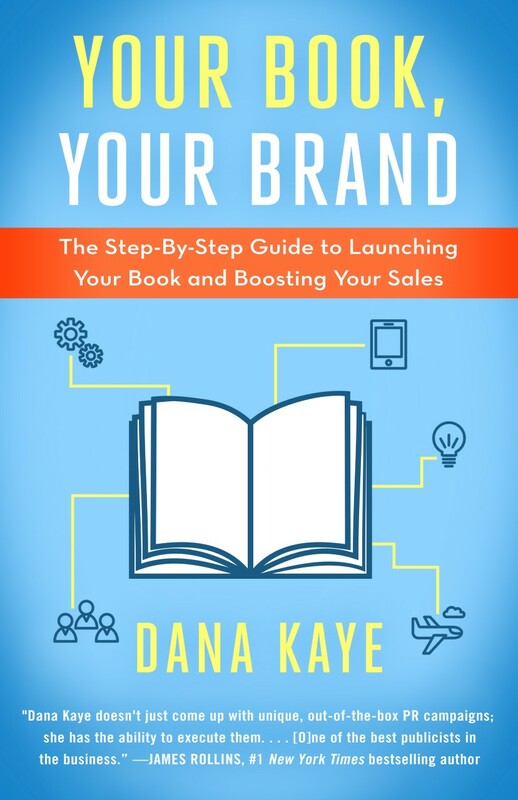 Dana, I'm also going to get a copy of your book for my son, who is in his late twenties and struggling with a brand for his passions. Thank you so much for being here today! I already bought Dana's book and it's terrific! Gigi, I missed responding to your post on here yesterday (granddaughter day), but I am so looking forward to reading your books, and I love the three words for your brand. Those are quite the enticement for me. Debs, you are SO right! I've been tinting about it ALL DAY! Gigi, Magic, Mystery and History is perfect. Grr. Once I used Deception. Deadlines. Desire. But that sounded a little too romancey. Sigh. Still thinking! I apologize for the delay everyone - I was traveling! I love these taglines! "Collision of crime and interior design" is perfect because it gives a clear sense of what the books are about. I also love "Books ripped from my own headlines" because it conveys that Hank is a journalist without actually saying it. "MAGIC, MYSTERY, AND HISTORY" is intriguing too, but since it's a little vague, be prepared to have quick elevator pitches for both series. And thank you to everyone who purchased a book! I'm glad you're finding it helpful!